A deep dive into Daredevil's psyche. 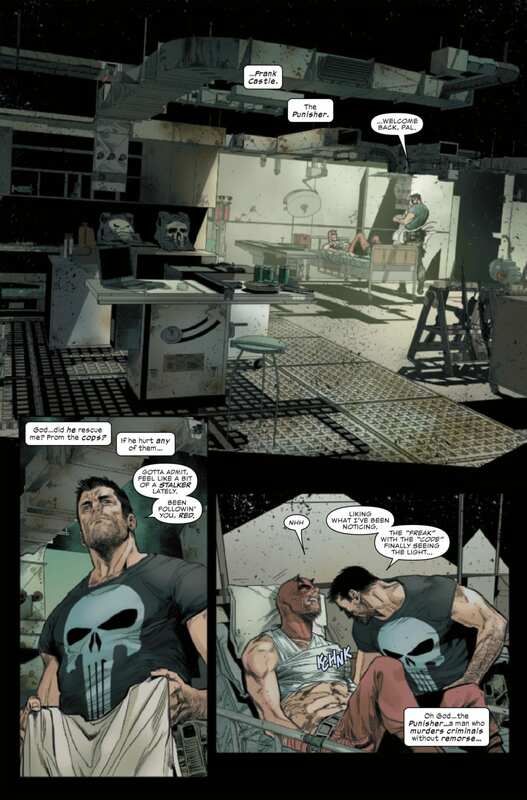 The complexity found in his interactions with The Punisher will leave you on the edge of your set. Matt Murdock has been doing some soul searching lately. Last issue saw the grim vigilante accidentally kill a man while fighting a gang in Hell’s Kitchen. This devastating news makes Matt question whether he’s ultimately fighting for the victims or simply for the sake of unleashing his rage upon criminals. These introspective questions come to a head when The Punisher, a.k.a. 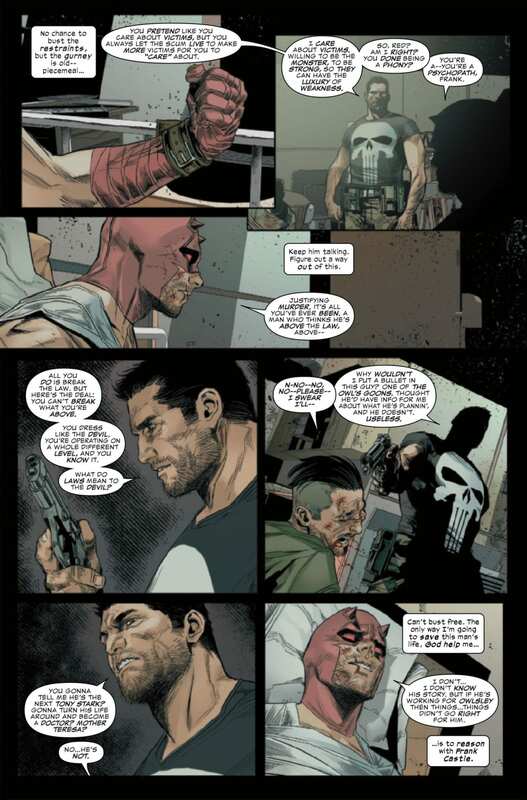 Frank Castle, confronts him in DAREDEVIL #4. 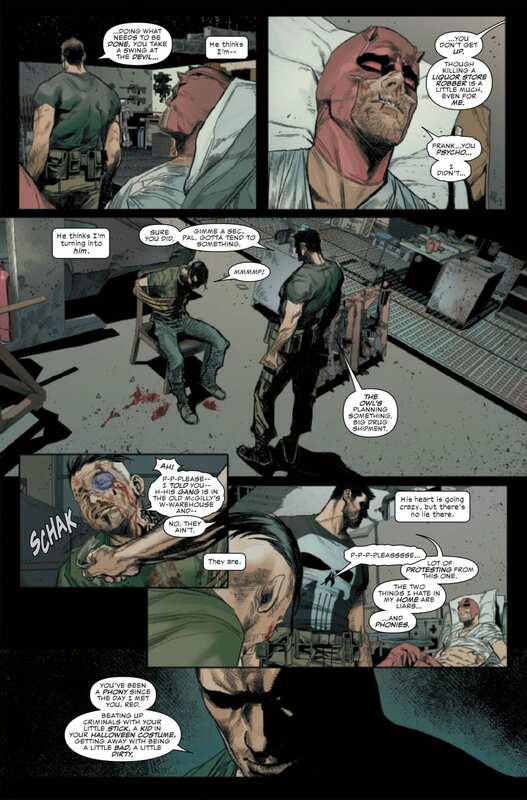 While attempting to investigate the scene where the murder took place in DAREDEVIL #3, Matt was attacked by Detective Cole North, who attempts to arrest him. The ensuing conflict leaves Matt with a gunshot wound. It’s here the reader is invited into the mind of the hero as he contemplates his predicament. 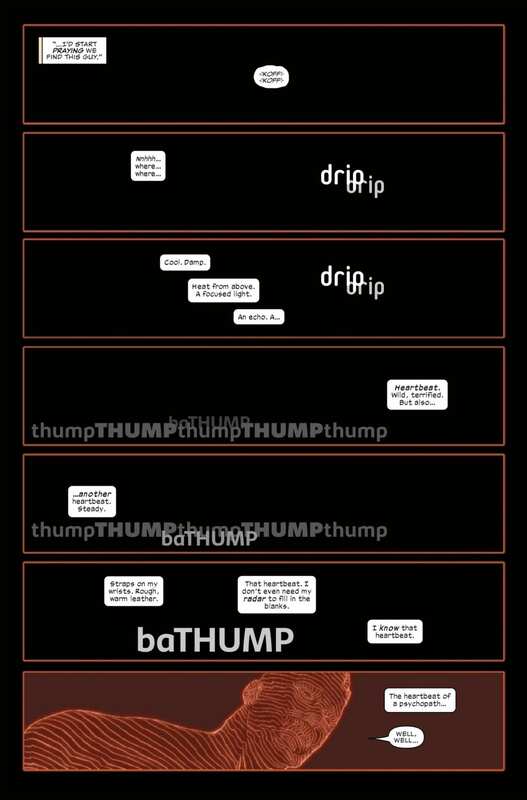 Chip Zdarsky’s writing beautifully brings the readers into Matt’s internal consciousness. We follow along this internal investigation of his surroundings, sensing the nearby heartbeats. But just then Frank the murderer/vigilante appears in all his moralizing glory. It is here Frank claims Matt is turning into a killer. The murdered gang member and recent fight with the police speak for themselves, but Matt responds with outrage. One can feel the emotion laced in his words. Matt is left to contemplate what he’s become while Frank tortures a criminal he captured. Caught between these dilemmas, the Devil of Hell’s Kitchen will need to figure out who he is before another man’s blood is on his hands. Julian Totino Tedesco’s main cover sums up the issue’s central theme in it’s melding of The Punisher’s image with Matt’s face. It places focus on the notion of identity and whether Matt will be able to distinguish himself from Frank. John Romita Jr. and Richard Isanove’s variant edition depicts Matt swinging through the city and capturing crooks. It serves as a direct contrast to main cover, helping the reader see how far Matt’s gone from his former identity. The art style in the “No Fear” run is a big improvement for Daredevil stories. Sunny Gho’s faded reds and blacks and Marco Checchetto’s penciling offers a realism fitting of the character’s Netflix series. VC’s Clayton Cowles’ lettering adds to the suspense, especially in the scene where Matt’s gathering his thoughts in the dark. The placement of each thought balloon slows one’s reading down to the slow pace of his regaining of consciousness. 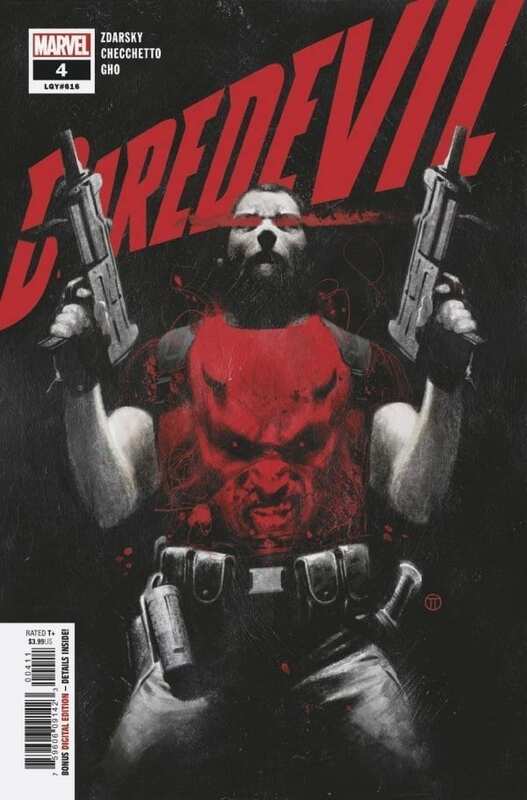 DAREDEVIL #4 succeeds at its deep dive into morality and self-image. Through Matt’s internal dialogue and confrontation with Frank, it asks us to examine the difference between our actions and our idealized selves. Do you think Matt is turning into an even nastier version of The Punisher? Let us know in the comments below!